As Americans, we like to blow our horn of plenty. Our grocers and markets stock food from all seasons and all climates — right at our fingertips whenever we want it. Couple that with the trend of more and more of these same grocers and markets giving more and more retail footage to ready-to-eat foods, and it’s no wonder that we throw away more than 30% of our food every year. Billions of pounds of food . . . wasted. Luckily, I have a solution for you. It’s more simple than you think and it boils down to this: Do Not Trust Your Future Self. Assume that Future You is going to be too busy/tired/uninterested to get it accomplished and do it now while you’re thinking about it. The whole week. Shamelessly. The trick here is to find the system that works for you. I know several people who like Plan To Eat, or who use apps like Evernote, but neither of those methods work for me. If it’s “hidden” on a digital file somewhere, it may as well not exist. I need it in my face every time I walk into the kitchen or I forget about it. I plan four meals a day: breakfast, lunch, afternoon snack, and dinner. Some of those are complicated and some of them aren’t, and at least one day each of them is dedicated to Leftover Bonanza. Click here to download my meal plan template. 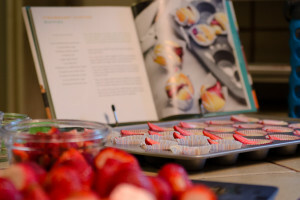 This particular muffin recipe called for a quarter or a half a strawberry per muffin. I went ahead and chopped them all. If you know that you have a little one who loves strawberries, and you’re already slicing some up for a recipe (or a snack) then do the whole pint. That way you’ll have strawberries ready to sprinkle on oatmeal, cereal, pound cake, or into lemonade. When they’re ready to go, you’re more likely to grab the little container and use them up rather than let them fester in the back to the drawer. 3. Freeze ingredients and meals for later. Making lasagna? Make two and freeze one. You’ll use up the cheese and the noodles, etc, and have one on hand for an easy dinner later. You can also freeze carrot tops, celery bits, etc, and when you’ve got a decent amount pull them out and use them in stock. I’ve also been known to buy two challah loaves and cut them both up for drying out overnight, making french toast, and freezing the leftover slices to be used as french toast on a future weekend. It’s just as easy to slice up two servings as one – of almost anything. The freezer prolongs the life of your food and allows prep to happen well in advance of the meal . . . so long as you don’t forget it’s in there. 4. Donate or gift your extras. If your recipe makes more than you could ever eat – see if a friend would enjoy part of it. Obviously don’t offer it up as “leftovers.” Give her (or him) a call as you’re prepping and say something along the lines of “I’m making lentil soup and there’s just way too much. Are you interested in a jar or two? I’ll set some aside for you if you are.” And once or twice a season I cull through my pantry – if there’s something we’re just not going to eat I donate it to the food pantry or a friend who will enjoy it. A list of our pantry, next to the menu and ready to tell me what needs to be eaten up. 5. Eat down the fridge/pantry/freezer. Once every few months I take inventory of our kitchen and plan our meals around that. Those weeks my grocery list focuses on perishables (cheese, milk, etc) and supplements for the ingredients I already have on hand. The goal is to empty everything out – not just the leftover servings of pasta salad, but the building blocks on your shelf. They’re always better fresher. Your goal is to have a (mostly) empty fridge by the time it’s time for you to shop again. By planning and following through (and a few minutes of extra prep here and there) you’ll save some money and eat better food in the process. Also from The Splendid Table, a little interview with a woman who specializes in eliminating food waste right from the start – the apple example she gives is genius. Eating Down the Fridge – a series on the Washington Post’s “Mighty Appetite” blog. Kathleen Flinn’s many posts on leftovers at her site, Cook Fearless. (A nice resource for cooks of every level. I have purchased (for myself and as gifts) both of her books. 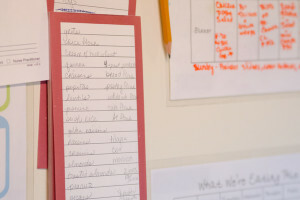 Modern Parents Messy Kids has a post up about using post-its for their meal planning. If you’re the type of person who needs this kind of system (and I sometimes am) then I highly suggest you check it out. Rachel Ray has many books out, but the one you’re going to want is 365 No Repeats – You’ll start with a meat sauce and then the next day have sloppy joes and the next day have nachos…a whole year of dinners with nary a leftover to be seen. I haven’t read this, but I keep seeing it pop up here and there so I’ll be checking it out soon: Love Your Leftovers by Nick Evans. He follows the “meal plan” and “prep in advance” advice by suggesting that you roast two chickens instead of one for you Sunday night meal and then talks about using the second chicken in various dishes later in the week. Finally- if you find that you’ve made too much oatmeal (or cream of buckwheat or really any kind of hot cereal) then make yourself Leftover Oatmeal Muffins. I’ve made both Amanda Blake Soule’s recipe and Orangette’s and they both are divine. Especially if you toss in some berries. 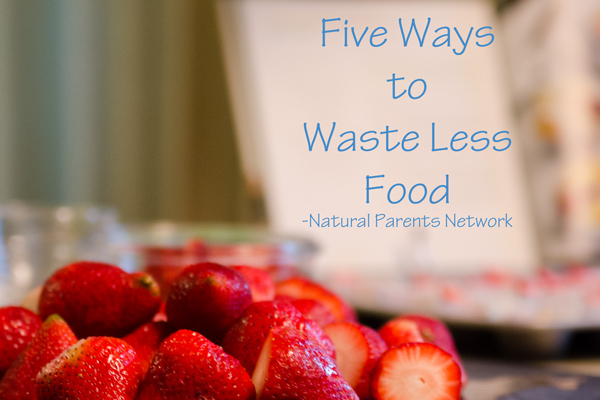 I completely agree with your thoughts on food waste. That’s actually a big reason why I decided after 30 years as a home economist to launch Sian’s Plan; an online meal planning site with recipes that are all healthy and under 35 minutes to prepare. We’re running a free trial at the moment and would encourage any of your readers that are looking to reduce their food waste to try it out and then send on their thoughts on the platform, (to start meal planning, just visit siansplan.com to register). Also happy to swap best practices around reducing food waste any time! Wonderful ideas! I definitely tend to put too much trust in my future self, lol. After many years of cooking for my family, I, too, seem to cook several meals a day. Loving the “leftover bonanza” title, is my way to extend some of those meals. I like your idea of eating down fridge & pantry since that does save time and money. Your organized list of meal ingredient’s is great, only buying what’s needed in those meals. I tend to buy extra food off of my list, and, that’s the wasted portion of my food. Great points and, I agree with your management skills of cooking/shopping for the week! Good job!